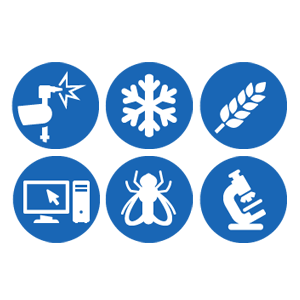 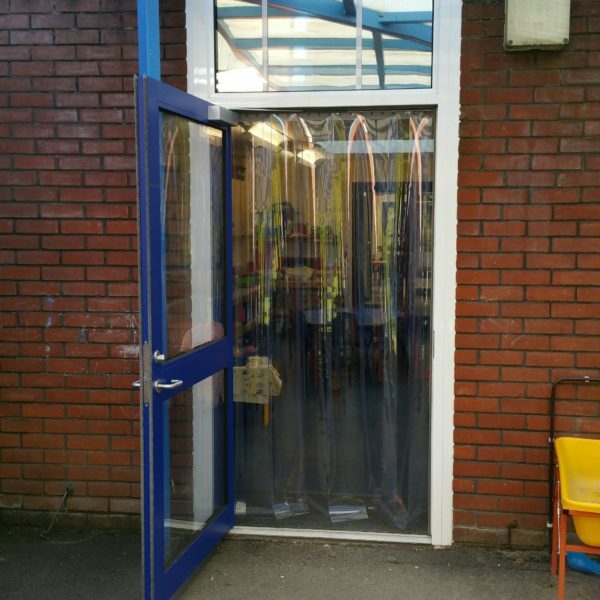 A constantly or even just frequently open door presents a number of issues. 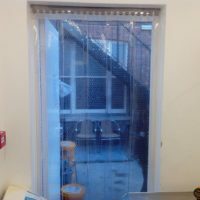 The most significant of which is usually the loss of heat from the inside environment, potentially costing hundreds of pounds in wasted energy costs. 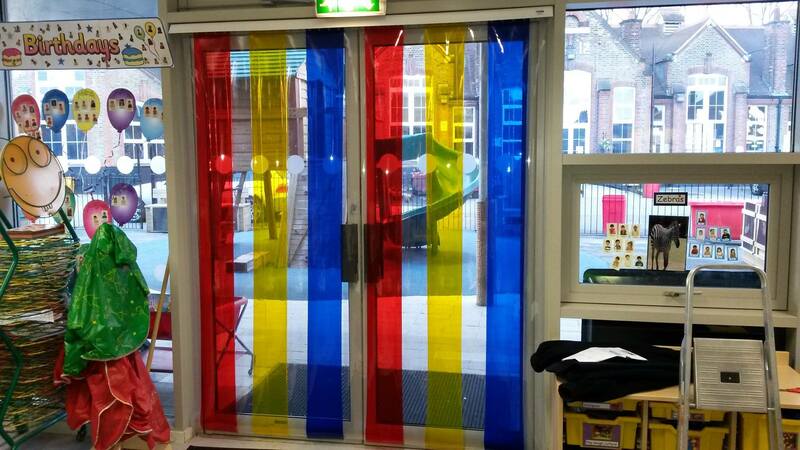 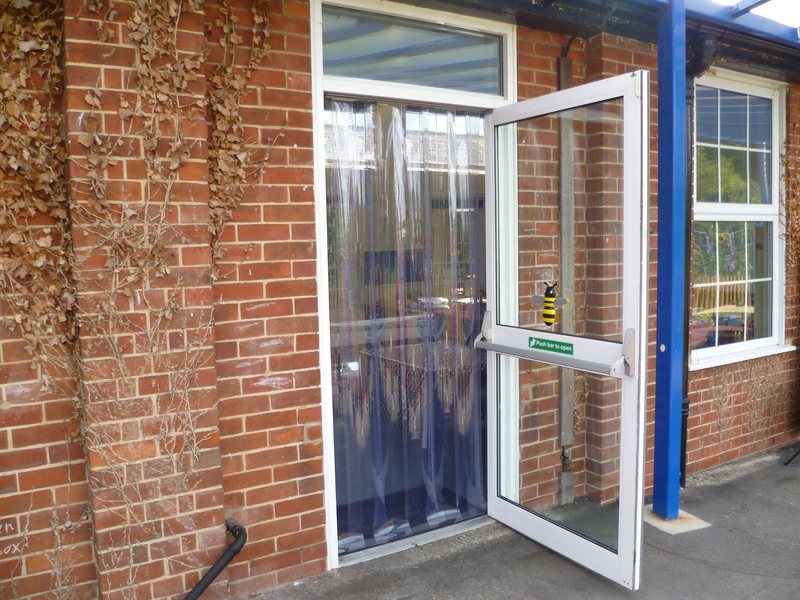 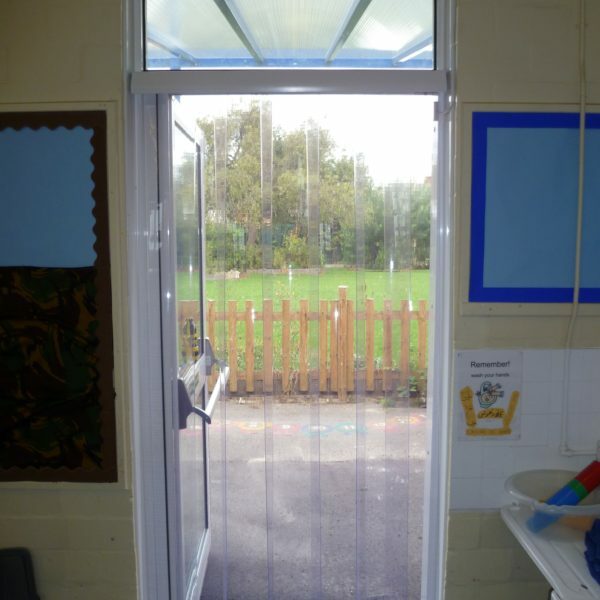 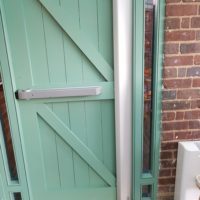 DoorTECH supply and fit a unique PVC Curtain system specially designed for schools and nurseries free flow play doors. 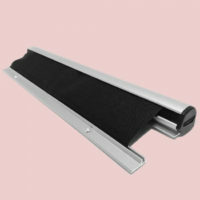 The mounting rails are made from a high strength plastic instead of stainless steel or other metal. 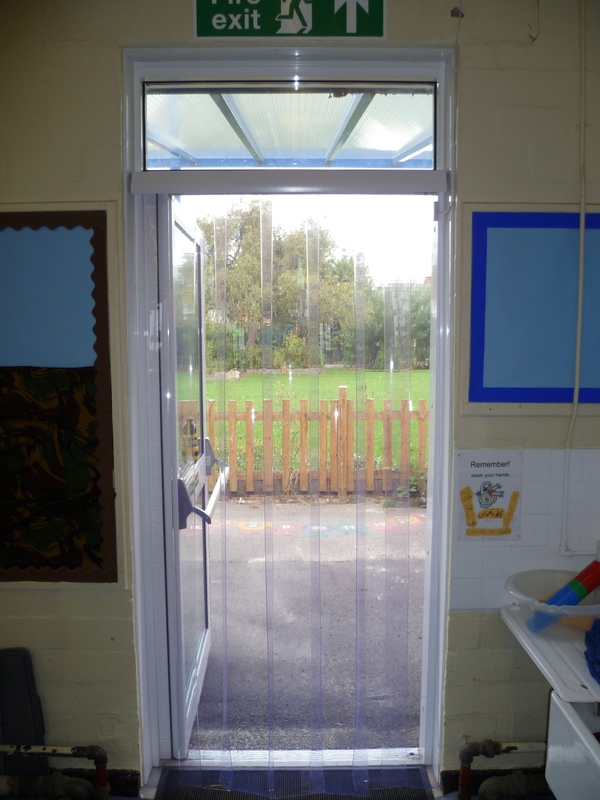 This means there are no sharp edges and no risk of injury should the curtain strips come free. 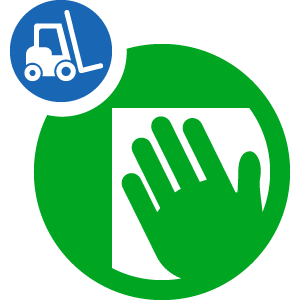 The unique mounting system also makes the strips easy to remove and replace if required. 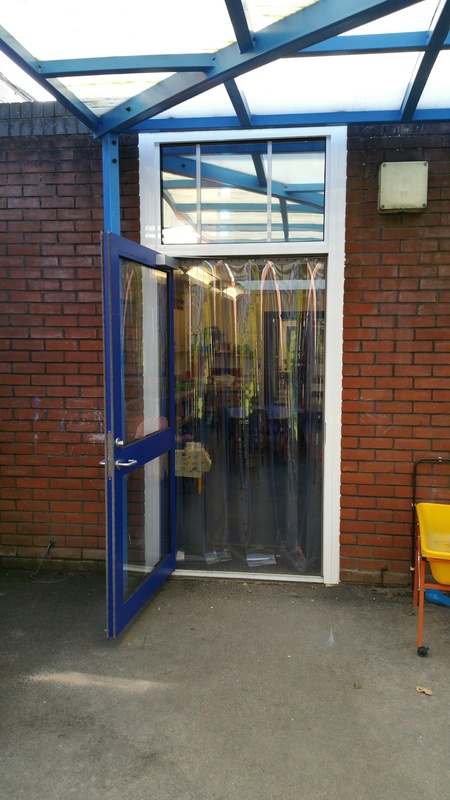 The PVC used for the curtain strips is a high quality and durable material that is non-toxic and will not tangle. 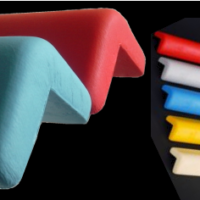 It is also a superior softer grade than ribbed and other alternatives which allows it to remain flexible even in colder temperatures. 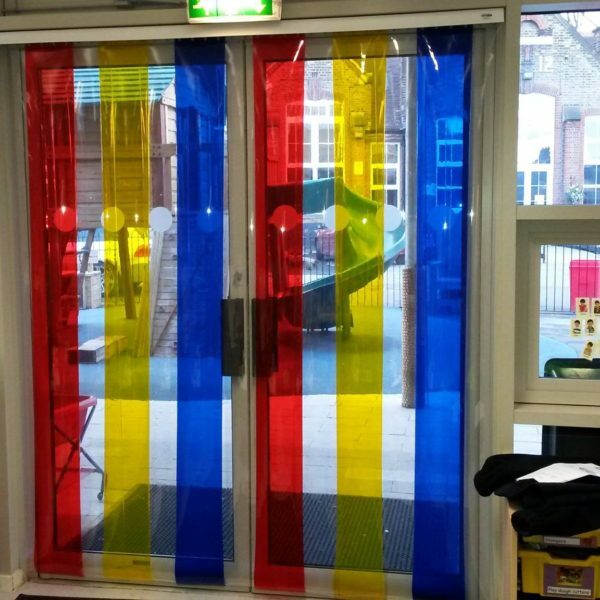 Not sure what PVC Curtains you require?